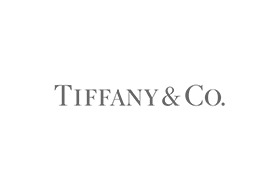 Since 1837 Tiffany & Co. has been the world's most beloved jeweller and house of design. Founder Charles Lewis Tiffany introduced the celebrated 6-prong Tiffany® Setting engagement ring, and with it, the most brilliant diamonds on earth. From archival designs to innovative creations by renowned artists, Tiffany style is legendary. The timeless beauty of Tiffany jewellery and gifts is always sure to captivate. The famous Tiffany Blue Box®, a familiar presence at life's most cherished celebrations, is the ultimate symbol of Tiffany's commitment to product and service.